For a long time I have wanted to be able to record or create an image of the lights and colours you see when you close your eyes. 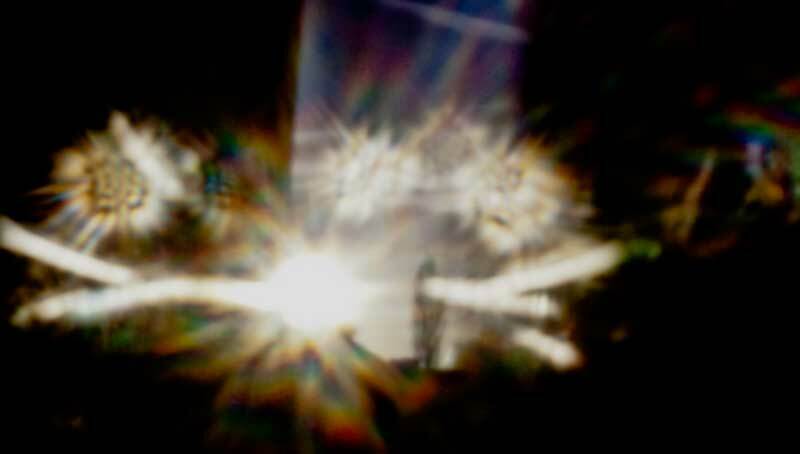 The strange rainbows and refractions you see through half closed eyelids when you look into the sun on a summers day. I started making digital pinhole cameras, a simple and not unique process. A pinprick in some tape over a lens cover on an old DSLR camera worked well. The results were interesting but not very exciting. While looking at the images I started to think how our eyelashes sometimes refract light. What would happen if I stuck a pair of false eyelashes around the pinhole? After a trip to Poundland the Eyelash Pinhole Camera was created. Rather to my surprise it worked. Images of the sun came out with arcs of light and balls of rainbow colours, almost identical to the affects I described above. Shown in the Art Teachers Show, at O3 Gallery Oxford, Jan 2014.